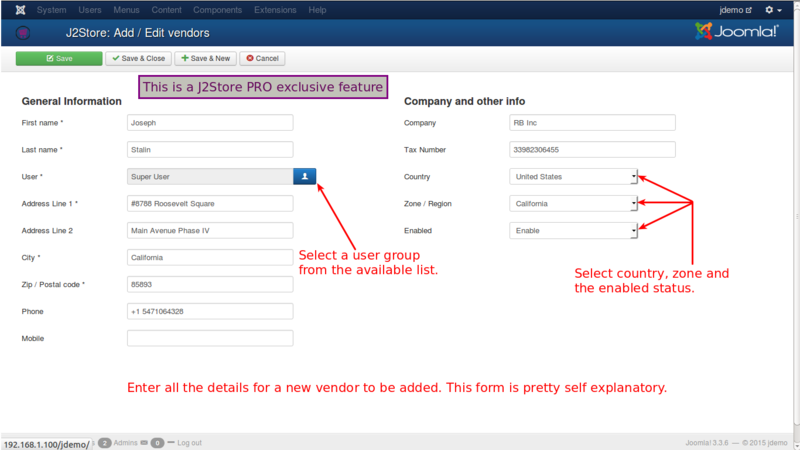 This is a database of vendors for products available in J2Store. There are many products available in J2Store for customers. If the customers want to purchase the desired products, vendors must be available to deliver the products to them. This vendor database facilitates the customers to choose the vendor of their choice. They are listed with complete details including their zone and country. So customers can easily manage to find out a vendor. Though the vendor is available in the database, the same must be enabled to be listed for customer selection. See the image below on adding a new vendor.